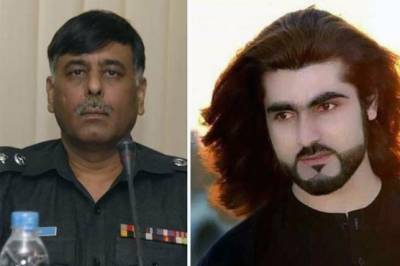 KARACHI: Former SSP Malir Rao Anwar has been removed from his post after the probe committee formed over the extrajudicial killing of Naqeebullah Mehsud found the 27-year-old to be innocent, a notification issued on Saturday stated. Rao Anwar's name has also been placed on the Exit Control List (ECL) on the recommendation of the probe committee, sources said. SSP Adeel Hussain Chandio has been assigned charge of Malirdistrict in his place, the notification, issued by IG Sindh AD Khawaja, stated. Speaking to media later,IG Sindh AD Khawaja saidRao Anwar has been suspended to ensure a fair inquiry into the alleged encounter that killedNaqeebullah. The police encounter was suspicious,Khawaja remarked. According to the initial investigation report, the committee termed SSP Rao Anwar’s allegations against Naqeebullah baseless, sources said. In its report, the committee stated that there was no proof found of Naqeebullah being a terrorist. The 2014 FIR presented by Anwar was also bogus, it said. The committee in its report also recommended the registration of a case against Rao Anwar and other personnel involved in Naqeebullah’s killing.